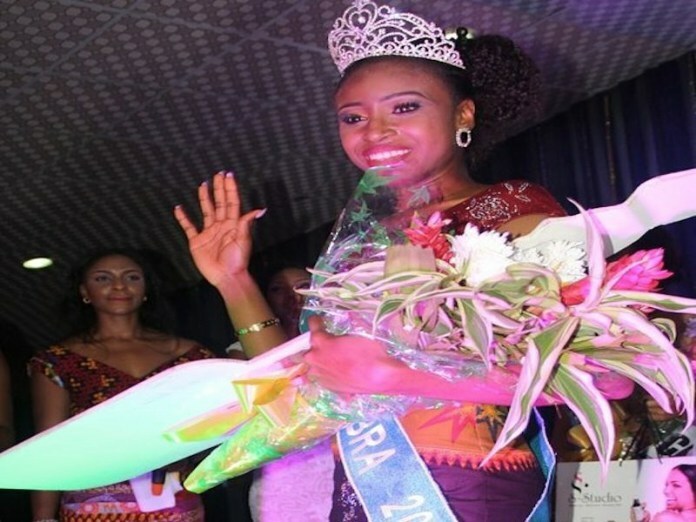 The scandal rocking the exit of the winner of Miss Anambra Beauty Pageant, Miss Chidinma Okeke, has assumed a different dimension with the organisers of the pageant washing their hands off the actions of the queen. The video which was released in two batches, has the 2015 winner of the pageant in a video that has gone viral on the cyber space, with the queen involving in lesbian act with another lady who has so far not been identified. A statement signed by the Chairman, Chief Executive of Anambra Broadcasting Service(ABS), organizers of the pageant, Nze Uche Nworah disowned the queen for her action in the video, saying that the pageant was set up to maintain high moral standard and to empower young ladies from the state. Part of the statement read: “The attention of the management of the Anambra Broadcasting Service, organisers of the Miss Anambra Beauty Pageant has been drawn to a video with lurid contents purportedly showing former Miss Anambra, Miss Chidinma Okeke (Miss Anambra 2015). “We wish to make the following clarifications; The said Miss Chidinma Okeke who is allegedly linked to the lurid content in circulation has served-out her term as Miss Anambra 2015 and handed over the crown in line with the terms and conditions of The Miss Anambra pageant. The organisers said the winners of the pageant are bound by contracts to be of good conduct and moral behaviour and to uphold and maintain the honour in their position as queen. It also said winners of the pageant also have a contract to refrain from any personal relationship that could appear to hinder their ability to perform the duties of their office as queen and role model and we do not expect any less. The pageant also apologised to people of Anambra state, our sponsors, supporters, friends and all those associated with the Miss Anambra project for the embarrassment the mere reference to the pageant in the controversy may have caused; whilereassuring of the good intentions of the Miss Anambra pageant franchise. Attempt by the queen to brief journalists and present clarifications to the videos, which are still being circulated on Wednesday failed over alleged threats to her life by those she referred to as her blackmailers.